A beautiful light antique finish solid brass twin wall light with a Gothic feel. Detailed domed circular wall mount and curved square section light arms, with tall slim candle tubes. 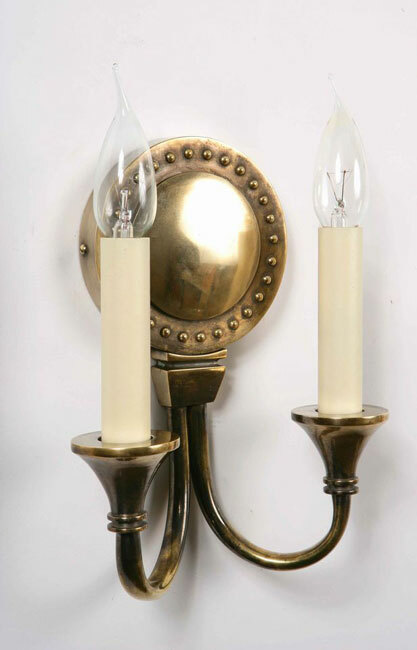 From our handmade replica period wall light selection. Also available in polished brass, aged antique and bronze finishes.